California Democrat Sara Jacobs has publicly portrayed herself on the campaign trail as a "policy maker" who worked at the State Department under former President Barack Obama, but she was actually a junior-level government contractor who was banned from making policy due to federal regulations. 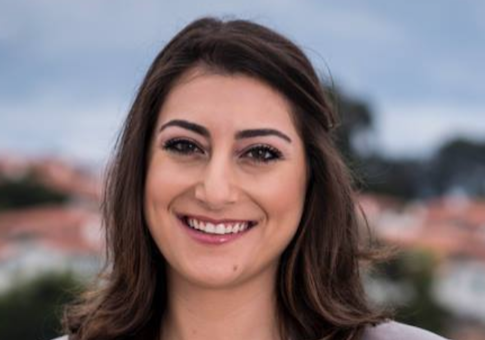 Jacobs, who is running for the House seat in California's 49th Congressional District, has previously worked in international relations at the United Nations and UNICEF, but the 29-year-old candidate has repeatedly misrepresented her previous work experience at the State Department in interviews and statements, according to the San Diego Union-Tribune. She told MSNBC during an interview on Jan. 14 that she "worked at the State Department under President Obama" and her website specifies that she was a "policy maker" who worked in "key policy positions at the State Department." However, her former supervisor Cindy Huang said Jacobs did not create policy and that her position was slightly above entry-level. According to Huang, she conducted analysis and reports that would later be used by people several steps higher than her to make policy. "My understanding of the regulations is that contractors can conduct research and provide advice and recommendations, and ideas, but they cannot be decision makers in the policy process," Huang said. Huang, who currently works for a think tank that specializes in international development, also appeared in one of Jacobs' recent ads talking about her experience at the State Department, where she spoke positively about Jacobs' abilities to conduct analysis. When emailed for a comment, Jacobs’ spokeswoman Chelsea Brossard told the Tribune that Jacobs has been as transparent as she could be. "[T]he way we describe her position to voters is the most accurate and transparent about what she did every day," Brossard said in an email. "She was heavily involved in the policy making process, which includes advising, so it would be accurate to say that was an experienced policy maker," Brossard said. "Of course all of the advice she offered needed to go up the chain of command for decisions, as would be true anywhere in government." Jesse Hunt, the national press secretary for the National Republican Congressional Committee, likened Jacobs' inflated resume to that of failed Democratic candidate Jon Ossoff, who misrepresented his national security credentials last year during his special election campaign in Georgia. "Sara Jacobs sounds an awful lot like our friend Jon Ossoff," Hunt tweeted. Jacobs, the granddaughter heiress of Qualcomm co-founder and billionaire Irwin Jacobs, is facing at least four other candidates in the highly contested Democratic primary as they look to replace Rep. Darrell Issa (R., Calif.), who announced in January that he would not be running for reelection. This entry was posted in Politics and tagged 2018 Election, California, Darrell Issa, Democratic Party, Jon Ossoff. Bookmark the permalink.